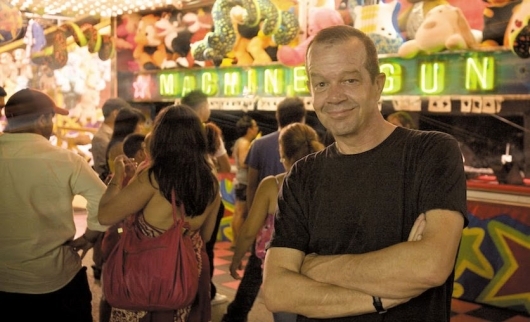 Famed comic book artist Darwyn Cooke, best known for his work at DC Comics, died today after a battle with cancer, his family confirmed via a statement on his official Web site. He was 53. Cooke’s wife Marsha revealed yesterday that the Canadian artist had been battling an “aggressive” form of cancer, and was receiving palliative care. 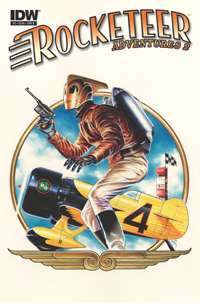 The Eisner Award-winning cartoonist began publishing his work in 1985, and worked in Canada for 15 years as a graphic and product designer as well as magazine art director before landing a job in the early 1990s at Warner Bros. Animation under animator Bruce Timm. At WB, he worked as a storyboard artist for the hit animated TV show Batman: The Animated Series as well as on Superman: The Animated Series, and also animated the main titles for Batman Beyond. Earlier this month, DC Entertainment released Batman: Strange Days, a new, animated short from producer Bruce Timm featuring a lost tale from Batman’s past for the 75th anniversary of the comic book character. Continuing with the year-long Batman anniversary celebration, DC has released a new short, which debuted over the weekend at WonderCon in Anaheim, CA, and has now been released online. 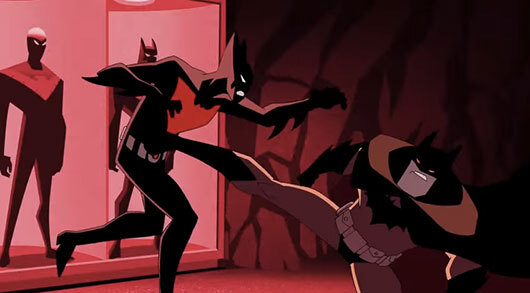 The new short, directed by artist Darwyn Cooke, takes place in the Batman Beyond universe (from the 1999 television series) and features the return of Kevin Conroy (as the voice of Bruce Wayne) and Will Friedle (as the voice of Terry McGinnis/Batman). You can watch both Batman shorts here below. 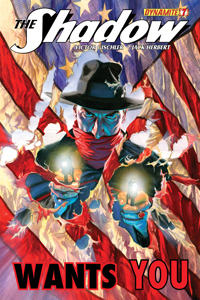 The Shadow #7 is a full-out 180-degree turn from the previous six issues, written by Garth Ennis. I know what you’re thinking…but trust me, this is a VERY VERY GOOD THING. 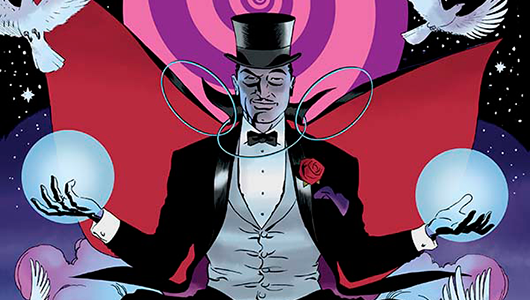 Bringing in a brand new writer is always tough, but Dynamite Entertainment certainly picked a fantastic person to take the job. Brand new author Victor Gischler explodes onto this title with a really solid issue. It’s one that clearly and totally sets up a whole new attitude for The Shadow. Instead of starting off with a giant, sprawling, epic, multi-part story, Gischler offers up an action packed one-shot that delves into the mind and heart of LaMont Cranston, and, as a result, The Shadow. He takes The Shadow back to his roots in Nepal where he was trained and studied under a mysterious group of Monks and where he learned how to cloud men’s minds and see what evil lurks within them. It’s a tale of self discovery and self awareness, and it’s a very entertaining read. Gischler packs more characterization into one issue than a lot of writers do in an entire six-issue story arc. Each and every week “Heel Heat!” MK2Fac3 and “Babyface Pop!” Henchman21 read a lot of comics. Seriously you guys, a lot of comics. Maybe too many comics. I mean, it is possible… theoretically. They look forward to some more than others, I mean, who doesn’t? 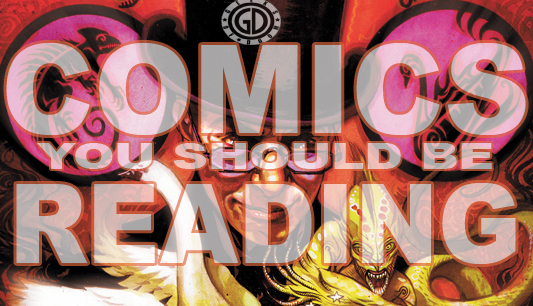 So, let’s take a look into the depths of their pull lists, grab some comics, and we’ll let YOU know what the top books to look forward to are for the week of July 11, 2012. Single issues and trades, they’re all here. Ladies and gentlemen, you have come here for one reason, well maybe more than reason, but one main reason. For comics. That’s why we’re all here. We’re here to learn, we’re here to share, we’re here to talk about all the good things and the bad things that make them. Let’s talk about comics, let’s talk about comics. 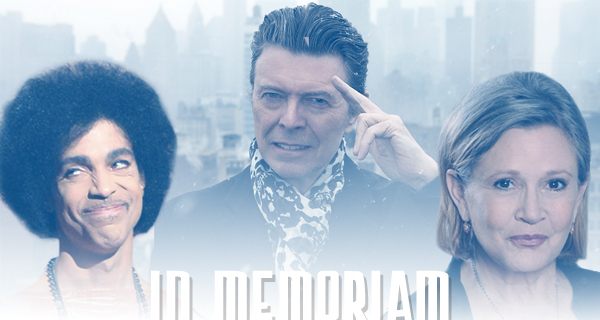 There’s a lot of stuff coming out this week, which you should already know. I mean, there’s load of great new comics, there’s loads of great collections coming out, and did you forget? It’s freaking San Diego Comic Con this week. Ladies? Gentlemen? Are you not entertained? ARE YOU NOT ENTERTAINED? This is The GoD List. You know what to do.